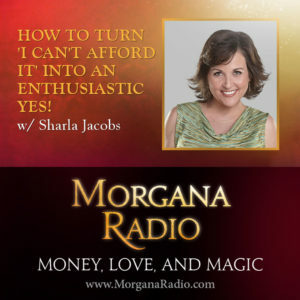 Jesse Koren Archives | Morgana Rae & Charmed Life Coaching, Inc. I just want to say thank you! I have gotten rid of my money monster and have a money honey, and I have started making more money as a freelance hairdresser. I now have bookings months in advance. Thank you so much, and I am sending love to you for the help all your videos have given me. I have a play list on YouTube that I listen to every night. Thanks again!